"Operetta: A Theatrical History" is considered the classic history of this important musical theater form. 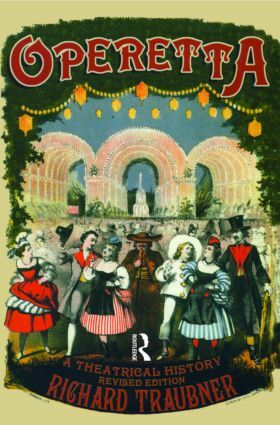 Traubner's book, first published in 1983, is still recognized as the key history of the people and productions that made operetta a worldwide phenomenon. Beginning in mid-19th century Europe, the book covers all of the key developments in the form, including the landmark works by Strauss and his followers, Gilbert & Sullivan, Franz Lehar, Rudolf Friml, Victor Herbert, and many more. The book perfectly captures the champagne-and-ballroom atmosphere of the greatest works in the genre. It will appeal to all fans of musical theatre history.